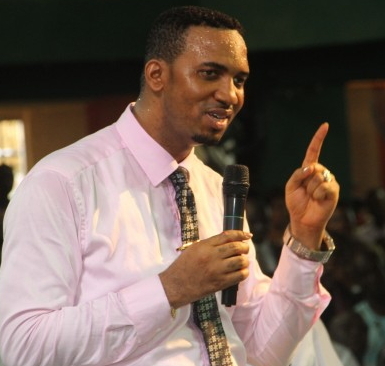 Controversial Pastor Chris Okafor has shared video of another miracle he allegedly staged to draw more worshippers to his church. During a deliverance session at his church, Mountain of Liberation and miracle ministry, Okafor called out a young lady identified as Blessing who he claimed had issues of blood. He later accused her mother, Dorcas who was present during the deliverance session as the person behind Blessing’s ordeal. The staged miracle was exposed when Okafor asked God to strike Dorcas with blindness when she denied afflicting her daughter with strange ailment. In what looked like a Nollywood movie, the woman immediately went blind and after 10 minutes of confession, Pastor Okafor prayed for her and her sight was restored.